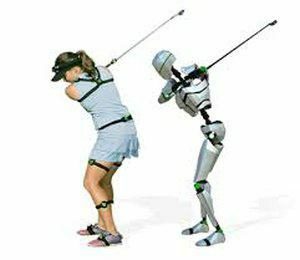 Your swing is video taped with high-speed video, evaluated with, MySwing 3D, and MySwing Balance Plates to determine the path, face angle and angle of attack of the club, Centre of Gravity throughout the swing, and Dynamic Balance. Peter and Chris are available for lessons in Victoria and Queensland respectively. Details to come in following publications. Using the high-tech Brain Frequency measuring product of FocusBand and MySwing Balance Board to understand weight and pressure we help to train the brain to frequencies that promote higher levels of awareness, focus and coordination as well as understand how to use the ground to aid consistency in your golf swing. 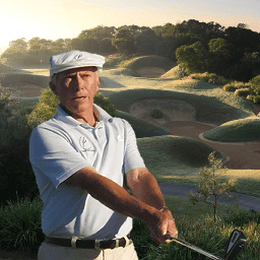 Through customised coaching you build an “Address Routine” that helps the processes of relaxation, visualization, focus, and a positive self-belief that assists and delivers optimum results both in practice and on the golf course – plus the added benefit of “having fun” during and following the process. Also getting a consistent swing routine will get you using the ground effectively resulting in straighter shots with more power and consistency.